Harbouring three golf courses in the region, the four-star La Cala Resort is a perfect option for a golfing holiday in Spain. 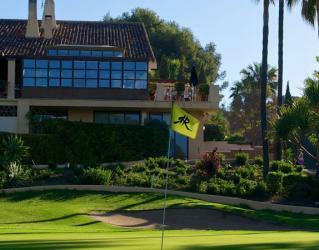 The resort has direct access to its three 18-hole championship courses: La Cala Asia (formerly South Course), La Cala America (formerly North Course) and La Cala Europa. The hotel’s homely decor, from the lobby to the pool, and its spectacular views over the golf course, make this small, 30 room hotel an idyllic spot for those sports loving travellers, in search of tranquillity. 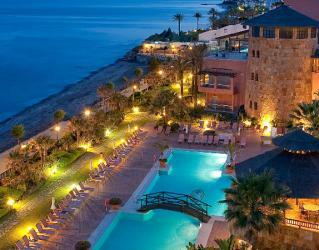 Elba Estepona is a stunning five-star hotel in Costa del Sol. 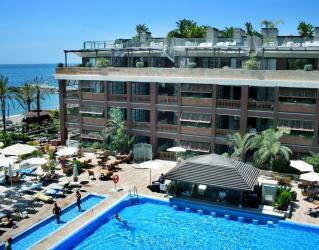 And the hotel just Located on the beachfront, the hotel features fantastic views. It is a magnificent choice for those who would like to play golf at marvellous courses while savoring the delights of a luxury hotel. 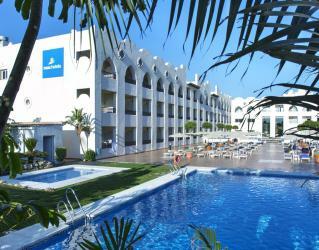 Elba Estepona Gran Hotel & Thalasso Spa is an ideal place with adult and kids swimming pools, direct access to the beach. Landscaped lush gardens, delicious culinary options and comfortable room will treat you and also Elba Estepona All-Inclusive accommodation option available, as well. 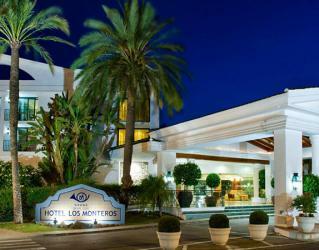 Renovated resort located on the beachfront between Marbella and Estepona. 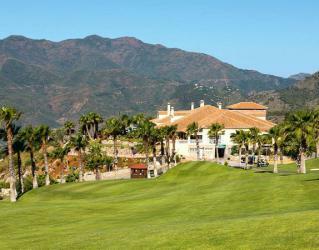 Only 6 km from Puerto Banús, 12 km from Marbella-Estepona and their seafront promenades, and 65 km from Malaga airport. New Splash Park and children’s play area with an adventure zone for our younger guests. An excellent various international and local taste options are available at the restaurants and bars. 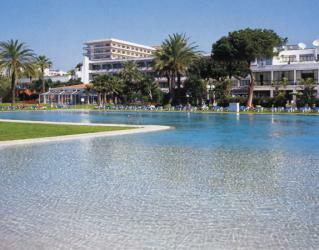 There are swimming pools, 50,000m2 of gardens and endless sports facilities for all the family to enjoy. 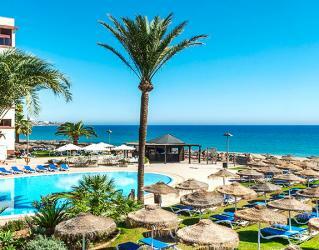 The recently renovated Sol Marbella Estepona - Atalaya Park is located just a few meters from the beach between the resorts of Marbella and Estepona. 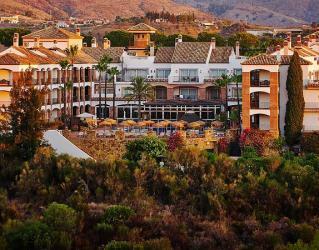 Right in the heart of the Costa del Sol where the sun shines over 300 days in a year, the resort is set across the wonderful views of Valle Romano Golf. 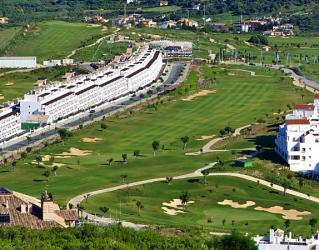 The resort combines stylish accommodation options and blissful rounds of golf with its onsite golf course. Surrounded by two 18-hole and one 9-hole golf courses and overlooking the beach, Hotel Guadalmina Spa & Resort is located in a matchless position in Marbella. 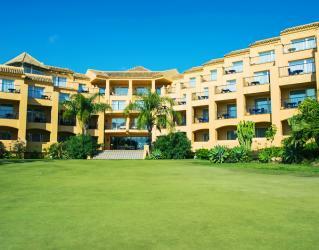 The hotel has direct access to Guadalmina golf courses for the convenience of its guests. 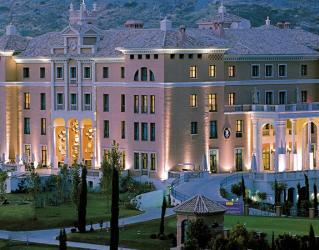 Villa Padierna Palace is a superb 5* hotel in Marbella in a privileged location with enchanting views of the Mediterranean Sea and grand mountains. The hotel boasts onsite Los Flamingos Golf Club with three splendid 18-hole golf courses: Flamingos, Alferini and Tramores Golf Course and a Golf Academy by Michael Campbell. 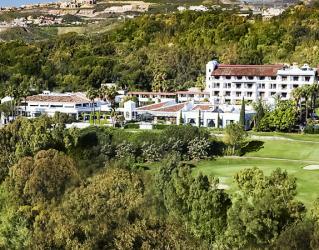 Harbouring one of the finest golf courses in the Golf Valley of Marbella, The Westin La Quinta Golf Resort & Spa is a fantastic 5* luxury golf hotel in Benahavis. Designed by three times World Champion and Ryder Cup champion Manuel Piñero, the adjacent 27-hole course in La Quinta Golf & Country Club is a superb choice for your next golf break in Spain. Los Monteros Hotel is the only five star Grand Luxe hotel located on the GOLF MILE, our guests will benefit form what the pros said: "The truly golfer friendly resort". Our guests can play any golf course within the area at preferential tee times and fully equipped shuttle service to Santa Clara, Rio Real and Marbella Golf Club. Surrounded by greenery and large open spaces in a unique setting overlooking the Natural Park and World Biosphere Reserve of Sierra de las Nieves, this Andalusian style hotel offers guests a pleasant stay in a unique setting. This wonderful five star resort is located in Nueva Andalucia, with an excellent beachfront location, just 15 minute walk from Puerto Banus centre, a spot well known for being a destination for the elite and very cosmopolitan people, recognized as a destination for those who are looking for the best hotels in Marbella. Hotel Mac Puerto Marina is located in Benalmadena Costa, on the beach and in front of Puerto Marina Benalmadena, one of the most emblematic marinas on the Costa del Sol, offering a wide range of shops, restaurants, attractions and leisure activities. The VIK Gran Hotel Costa del Sol is a 4 star hotel in Costa de Mijas (Málaga), located in Costa del Sol in a quiet area only 24 minutes from Marbella and 12 minutes from Fuengirola.The hotel is ubicated on the beachfront of Cala de Mijas with breathtaking views out over playa de la Butibamba.